Unlock Sony Ericsson Xperia Arc LT15 - Safe IMEI Unlocking Codes for You! 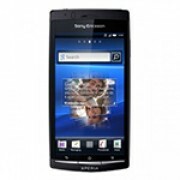 Unlock Sony Xperia Arc LT15 Handset! In case your Xperia Arc LT15 doesn't ask for the code and there is no designated field to enter it, please DON'T PLACE ANY ORDER, contact us first for support. If you need to get your Xperia Arc unlocked, SafeUnlockCode can help you get it free from networks that would charge a whole lot more to be unlocked. Once you receive your unlock code within your email, and follow the easy instructions, your handset can be unlocked within minutes. Need to unlock the Xperia Ray, Play or Z? Check out our list of unlock codes! SafeUnlockCode can unlock you so you can use your Xperia Arc on any network across the globe, including Rogers, Bell, AT&T, Fido and a load more, and at a fraction of the cost of what they’ll charge you to become unlocked. You’ll need to gather some information on your handset first. 1. IMEI - dial*#06# on your Arc’s dialer or by looking for the code on the sticker found underneath the battery. 2. Select the country your phone was bought in. 3. Select the network you are locked to on your Arc. We cannot make refunds if you enter the information incorrectly! Please double check twice because we support the cost every time we attempt to unlock an IMEI. You may also have an Xperia Arc that is “hardlocked.” Being hardlocked forces you to stay on your locked network and is usually because you’ve failed the unlock process by entering incorrect codes. Alternatively you can dial *#*#7378423#*#*. If a menu pops up like this, you’ve entered the keys correctly. A 0 alongside the Network, represents that you are hardlocked. DO NOT PLACE AN ORDER IF YOU ARE HARDLOCKED! Any other number is completely fine! How to Unlock Sony Xperia Arc LT15 Phone - Tutorial! Check availability and pricing info. Proceed to checkout and wait for the email containing the code. Once you receive the email containing your code, enter a non-accepted SIM card into your Xperia Arc and turn the handset on. A screen should show asking for an unlock code. Enter the unlock code here and you will become unlocked! If you are having trouble finding the unlock code page, contact us.